Yeah Racing released a new graphite spur gear cover for Yokomo YD2. The New Parts can mount your spur evenly with this Graphite Spur Gear Support Plate! This Graphite piece creates an even distributed load which allows for a precise and quiet drive train. Fits spur gears larger than 83t 48p! Don’t miss the Yokomo YD2! This is the Yokomo “Graphite Chassis” YD-2EXII 2WD RWD Drift Car Kit. Achieving a two time victory at the D1-10 World Championship in Netherlands, this high-end RWD chassis kit has enhanced its performance at low traction surface. The key feature of YD-2E series is the low center of gravity for performing high speed drifting in any type of surface condition. In the meantime, Team Yokomo developed and tested Front steering blocks and Front/Rear Short Lower Arms in several types of track surfaces for the super set of YD-2E series. Now, those new parts will be a kit standard at YD-2EXII. 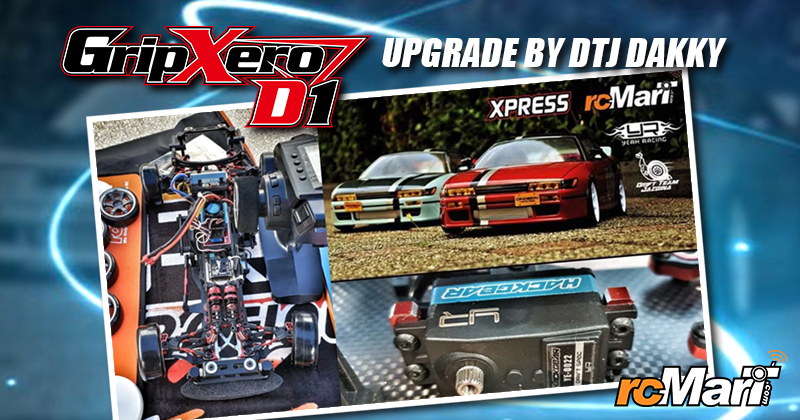 The YD-2EXII is a high-end, good balanced car kit for a variety of drivers who enjoy RC Drifting in any type of surface condition.